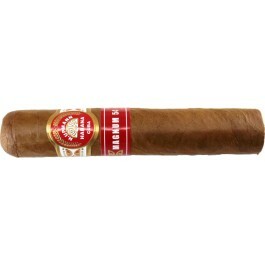 The H.Upmann Magnum 54 is a classy medium bodied Petit Robusto, of 54 ring gauge, 4.7” (120 mm) long and comes in aluminum tubes in a box of 15 cigars. • While still being a young cigar, it shows a perfect construction with lots of complexity. Great potential for aging.